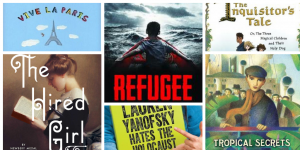 In the wake of the mass murder at the Tree of Life Synagogue in Pittsburgh, the Association of Jewish Libraries has created a series of book lists for young readers. Their hope is "to grow readers' understanding of the Jewish religion and its people." The first list in their Love Your Neighbor series is "Standing Up For Each Other." A PDF version of Love Your Neighbor Book List #1: Standing Up For Each Other is available at this link. 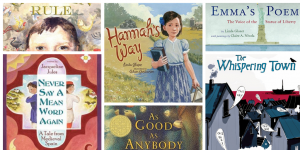 I have not read every book on the list, but I can say that The Hired Girl by Laura Amy Schlitz (Candlewick, 2015) and Emma's Poem: The Voice of the Statue of Liberty by Linda Glaser and Claire A. Nivola (HMH Books, 2010) are two of my favorites. I encourage you to explore the AJL book list and to make every effort to incorporate these and other diverse books into your classrooms, story time programs, and interactions with your own children. The more we explore the lives of people from other cultures, the more we discover our commonality. 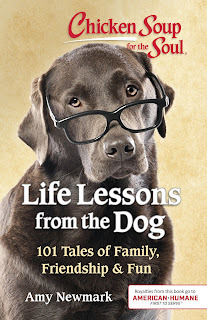 An article describing the inspiration and creation of the Love Your Neighbor book list project may be found at Tablet Magazine. What a wonderful response to the tragedy at Tree of Life Synagogue. Shelf-employed blog by L Taylor is licensed under a Creative Commons Attribution-NonCommercial-NoDerivatives 4.0 International License. ©CC BY-NC-ND 4.0 L Taylor. Simple theme. Theme images by IntergalacticDesignStudio. Powered by Blogger.